One third of all men admit that they’ve actually worn this without anyone knowing; what is it? One third of all men admit that they’ve worn superhero underwear at some time in their adult life! 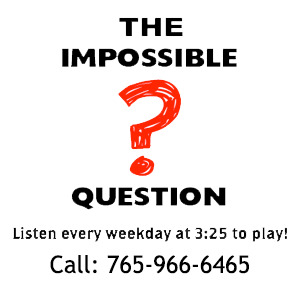 Congratulations to Kim Waber of Winchester, IN for being the first to answer the Impossible Question!